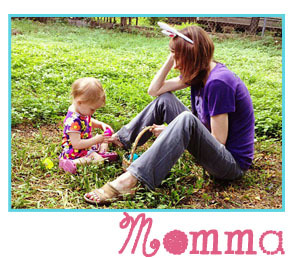 Summertime and the Gifting is Easy with Mangiacotti sets! Etiquette 101: showing up empty handed for neighborhood barbecues, family pool parties and the coveted Hamptons or country weekend invite is a big faux pas! It is summertime and Mangiacotti just made bringing the perfect hostess gift a whole lot easier. Forego the typical cut flowers, food and wine, and opt for one of these lovely and thoughtful hostess gifts that not only says thank you for your hospitality, but ensures a return invite! Pick and choose from six hand crafted signature fragrances formulated with essential oil blends of lemon, papaya, tangerine, orange, grapefruit, tonka bean, lavender, jasmine, cedar, musk, patchouli, ginger, blackberry, verbena,red cassis and mixed with plant derived ingredients into earth friendly formulations that are never tested on animals. Every product made in American and hand-finished by citizens with disabilities. 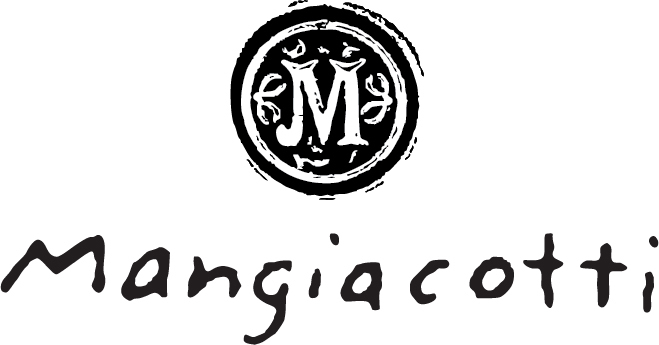 Each comes in beautiful decorative packaging and if time is an issue can be ordered online at www.mangiacotti.com and delivered direct. We have a guest this week who happens to also have a birthday! I love to get her thoughtful gifts that she loves and WILL USE. I got her Mangiacotti soaps last year that were a big hit, so I decided to step it up with one of her favorite fragrances. Lemon Verbena is uplifting, with a lemon citron top note and a verbena nuance and lemon rind base note that is perfect for your kitchen. The Lemon Verbena Kitchen Soap Set is the perfect kitchen companion and hostess gift! Inspired by nature, the Natural Essentials Kitchen Soap is plant-based with essential oils. This concentrated formula uses biodegradable extracts as a natural degreaser and essential oils for a fragrant experience. 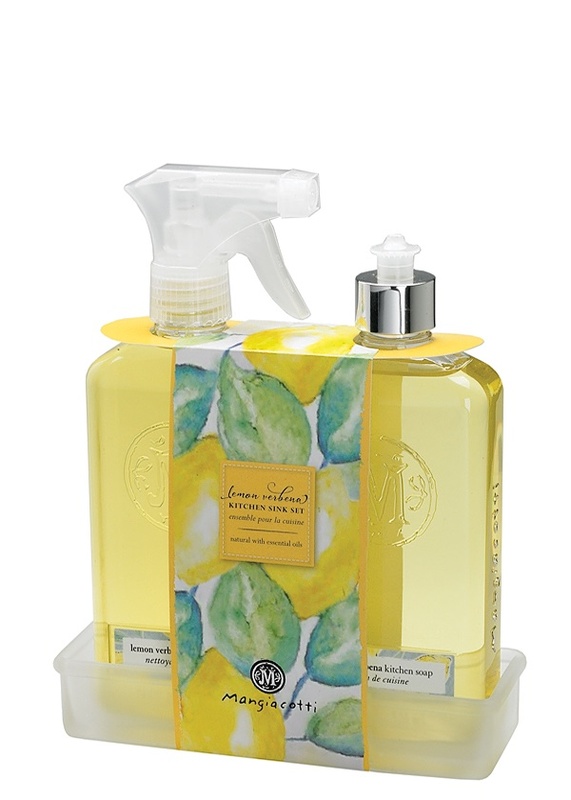 Using the Lemon Verbena Surface Cleaner will fragrance and refresh your surroundings for hours. Naturally plant-based with extract, this hard-working concentrated cleanser is safe and effective on non-porous surfaces in your kitchen. The sink set is beautifully packaged and complete with a frosted glass caddy. Lovely and well received! Yay! About Mangiacotti: Mangiacotti offers products and packaging made from recyclable materials, vegetable-based inks and formulas that are kind to Mother Earth. The complete line of home, personal care, bath and body products and soy candles are made with essential oils and plant-derived ingredients and are never tested on animals. The Company was founded with really, really good intentions and products that are all made in America and hand finished by citizens with disabilities. CEO Michele Mangiacotti has made it her mission to be an “agent of change”, by not only employing adults with disabilities, but in taking inspiration for all of Mangiacotti’s 2018 product packaging design directly from artwork created by disabled adults. Mangiacotti funds an independent art program ensuring independence, empowerment, and inclusion of all in all aspects of society. The brand also is involved with several community outreach programs, food banks and services in Massachusetts where their corporate offices are based. ← New Nut-Free P’Nutter Chocolate Chip Treats from RULE BREAKER SNACKS!